This book is a world reference for training oneself with rigorous use of essential oils for health! This book is written by Dominique Baudoux, a well-known pharmacist and aromatologist, very appreciated for his books. 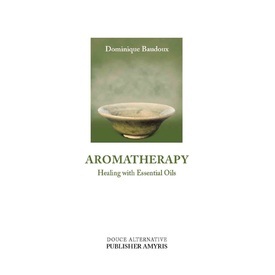 The first part of this book contains the basis of aromatherapy: history, extraction methods, quality criteria, information on chemotypes, the relation between biochemical composition and therapeutic properties, proper storage conditions, how to mix formulas, routes of administration and safety precautions. In the second part, you will find formulas to help treat many pathologies, as well as a listing of various health problems, English-Latin and Latin-English equivalency charts and a listing of therapeutic properties. The third part of this book is a gold mine of information on essential oils. Each oil has its own monograph, containing a description of its botanical and biochemical characteristics, as well as a listing of its properties and indications. This information is reliable, as long as the essential oils used are of the highest quality. The end of the manual contains pages for your personal notes, the description of an emergency kit, a glossary of medical terms and a bibliography. 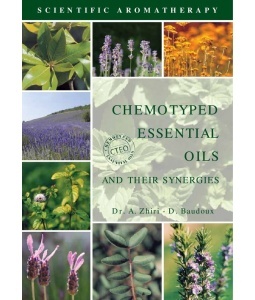 Chemotyped Essential Oils and their synergies (D.Baudoux, A.Zhiri) . Englanninkielinen. An introductory work with more than 45 data sheets with everything you need to know about the most current essential oils.